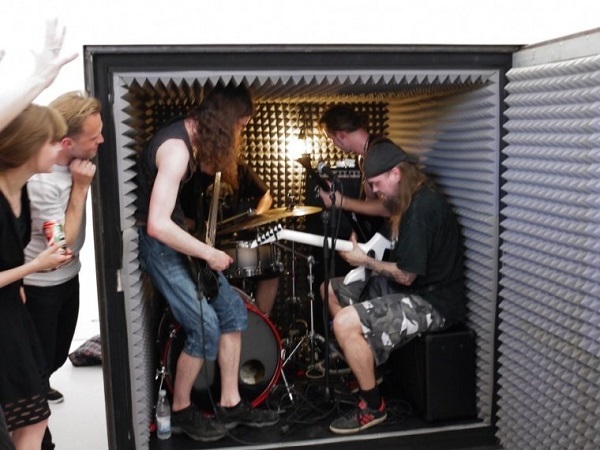 A death metal band plays its music in an airtight box for more 20 minutes! The Portuguese artist João Onofre and the British death metal band, Unfathomable Ruination made a truly diverse performance in London. 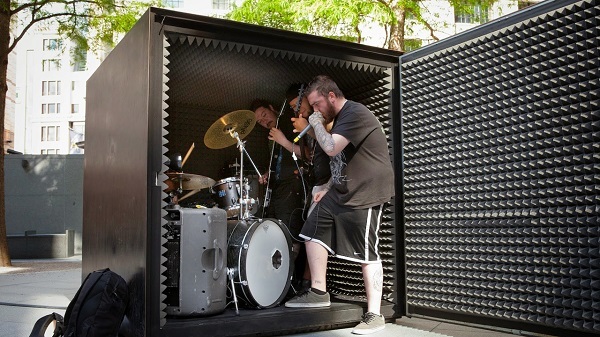 The artist created a soundproof airtight steel box, in which the band got locked in and played music until they run out of breath! This installation consists of an object and a performance, while the object is a copy of a sculpture by Tony Smith called Die who is a minimalist creator of North America. 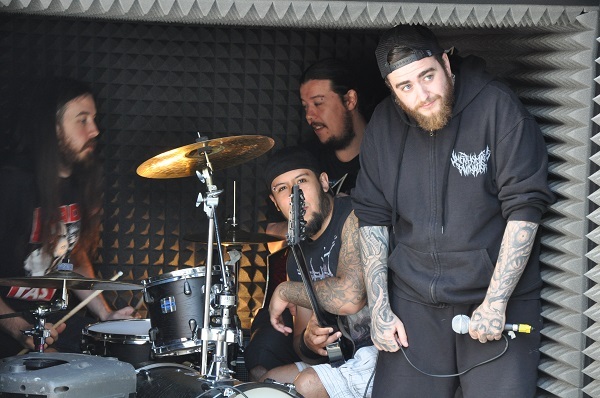 The performance, which is seen when the door is open will be the death metal band, said Joao Onofre. The band is locked inside the black box and keeps playing until they run out of oxygen in space. 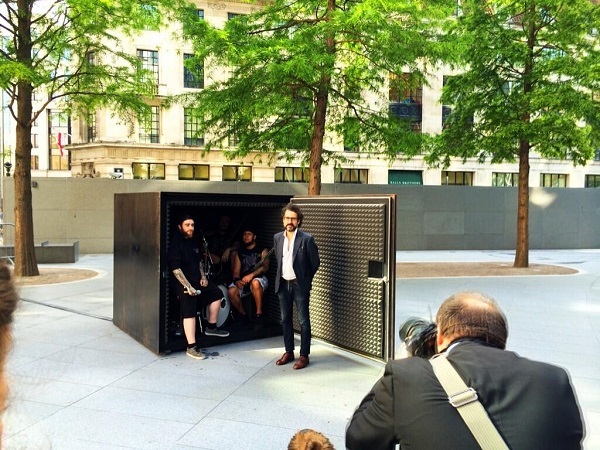 They stayed in the box for more than twenty minutes, while passersby heard the muffled sounds coming out from inside the black cube. It’s an interesting project. There was obviously something in the box that sounded very very loud, but to us on the outside, the sound sounded dull, among various other sounds, said someone while another said that It was really unique. I had not seen anything like it. I felt bad for the band that was stuck inside the box and could not breathe. But the whole idea was brilliant. 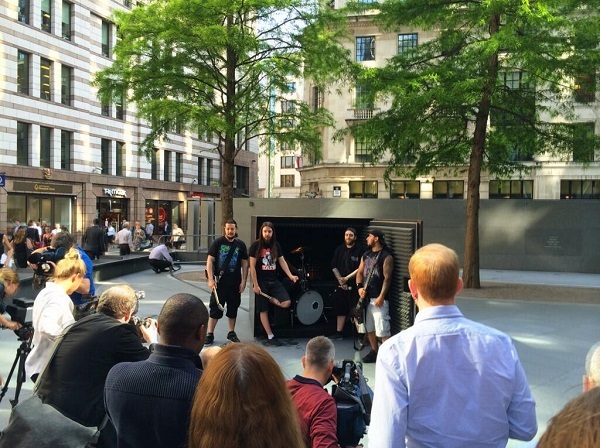 However, that was not how some members of death metal band felt, who came out of the cube literally out of breath. As soon as you go out, you feel relieved, because it is very nice being actually out. Inside, the heat was tremendous in a really short amount of time. The last five minutes, we nearly died. This is one of the things that most people overlook when they see this work. Everyone thinks it’s a small space and no air. But the issue of space is much more important than all the rest together. I mean, it is obviously difficult to breathe, but you have no space to even move, which is much more substantial. I’d shatter my elbows every time I hit the drums or did something. The heads of the others touched the ceiling, explains drummer of the band, Doug Anderson. This installation is presented in the context of the summer art festival Sculpture in the city organized in the British capital.